An exponential rise of smart devices has been witnessed over recent years as cloud computing and ubiquitous Internet connectivity connects consumers to information, anytime, anywhere. This demand for smart, portable devices has seen sales of smartphones and tablets skyrocket. However, the world of technology moves quickly and we are already observing the emergence of a new kind of portable device which can be worn on the body. 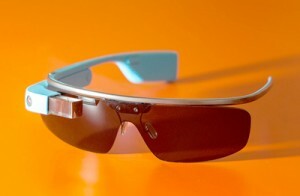 Google Glass, due to be generally released at the end of 2013 or in early 2014, is the most high profile of these wearable technology devices. However, there are already examples of wearable technology on the market. The most recognizable are health devices including the Nike+ FuelBand and Jawbone UP, which capture the wearer’s activity data in the cloud and provide fitness analysis. Others include wearable cameras such as Autographer, which are enable users to ‘lifelog’, capturing their daily experiences. Wearable technology has the potential to be both useful and entertaining. However, how interested are we in using these devices? Can they enhance our lifestyles or will they just cause more stress as users suffer from information overload? And will concerns around privacy hamper consumer adoption of these devices? Finally, do we need more cloud infrastructure to support these devices, managing and analyzing the huge volumes of data that will be created? Now is the beginning of massive mainstream uptake of wearable devices, with the launch of Google Glass set to further boost adoption. However, it is important to note that wearable technology and the cloud go hand in hand – together they provide the rich data insights that help users better manage many aspects of their lives. Cloud computing is powering the wearable technology revolution. It allows the data generated by wearable devices to be captured, analyzed and made readily accessible whenever users need it. While this technology is new to the market, adoption rates are substantial with 18 per cent of British and American adults already using wearable devices. The study revealed that 82 per cent of wearable technology users in America and 71 per cent in Britain believe that these cloud-powered devices have enhanced their lives. The appeal of wearable technology is down to the rich data generated by the devices, which is stored and analyzed in the cloud. The ability to access these insights from the cloud ‐ anywhere, anytime ‐enables wearable technology users to boost their intelligence, confidence, health, fitness and even their love lives. This cloud data, delivered via wearable devices is leading to a new level of technology‐enabled personal development. The study found that 47 per cent of British and American wearable technology users felt more intelligent and 61 per cent felt more informed. 37 per cent stated that wearable technology helped with career development while 61 per cent claimed that their personal efficiency improved. Given these advantages, it is perhaps unsurprising that 13 per cent of wearable technology users never remove the device with another seven per cent admitted to checking the device at least once every five minutes. While wearable technology is already being adopted, we are at an early stage when it comes to the devices on the market, with plenty of room for improvement. The qualitative research conducted by Cast revealed a common frustration with the quality and accuracy of data provided by wearable technology devices. As the market matures, the clear winners will be the manufacturers who manage to resolve these data issues to gain competitive advantage. Despite the many benefits that wearable technology is set to deliver for both consumers and governments, there remain serious concerns about privacy, with over half (51 per cent) of respondents citing it as a barrier to adoption. Almost two thirds (62 per cent) think Google Glass and other wearable devices should be regulated in some form while one in five (20 per cent) are calling for these devices to be banned entirely. According to Law Firm Sheridans, as with all new products that are cutting edge, there is always the question of how current laws, combined with consumer expectations, fit in with the product. Wearable technologies face the same challenges as any other new product that represents a change in consumer activities, albeit that in the digital age the challenges can seem more daunting. On the one hand, some wearable technologies do not represent any privacy or any other rights issues as they interact solely with the user. On the other hand however, when wearable technologies interact with other people and the environment around the user, then potential privacy or copyright issues can arise, although it’s important to remember that these issues already exist but the new technology typically makes it easier to happen. The challenge for manufacturers of wearable technologies is ensuring that where the device has the potential to infringe another person’s rights, that the user is made aware of how they should be using the device (so as to not record a film in a cinema for example) and also for other people to recognize when the device is being used in a manner which they may object, such as surreptitious videoing or photographing of people. Hopefully manufacturers will take the lead in this area so that new regulations are not needed, but irrespective of what happens, there will always be those who misuse technologies for their own benefit, stated Sheridans. Another key finding form the research revealed six distinct profiles of wearable technology users. The first profile identified in the study had no particular health, fitness, food, mood or emotional need for wearable technology. They are simply interested in what happened when they ‘played’ with these devices. These users are intrigued with data about their behavior but are unlikely to use it in an analytical sense. To keep the curious motivated to become regular users of wearable technology, vendors must focus on simplicity of use, attractive design and a consistently fun interface. This category requires something easy to wear and use to keep them interested. The second profile identified in the study will tend to see everything in their life as a selection of parts contributing towards an overall ecosystem. They will only purchase a device once they know that it will do what they want it to do and they can manage their data the way that they want to. This is the profile to watch when developing second and third generation devices. Most controllers will use multiple apps alongside of the device to get the most extensive picture. Therefore it is important to create an integrated device that pulls together all of the parts into a whole. The quantified selfer is an ehoarder; he needs to know that his data resides in at least two places (the cloud and another back up) where he can access it when or if the mood strikes. The forth profile identified in the study uses wearable devices to take control over health and well‐ being. Often a super-user, the Self Medic uses multiple apps and devices to get an accurate account of his/her health. The challenge to business is to ensure the ‘how, when and why’ of data collection is transparent. Data needs to be accurate as it is used to manage health conditions. The fifth profile loves the idea of wearable device and is really excited at the adoption stage. However, once they realize the device needs to be calibrated, charged, synced and sometimes needs them to manually add data, the shine wears off. Here there is a need to ensure the ‘how, when and why’ of data collection is transparent. This user can take or leave the ‘fuel points’ for example. Give them real meaning from the data so that they can challenge themselves and possibly others with true information. With adoption becoming mainstream, wearable technology will form an integral part of the ‘Internet of Things’ – a growing network of devices – from wearable tech and smartphones to road traffic sensors ‐ that connect to the internet to share data in real time. 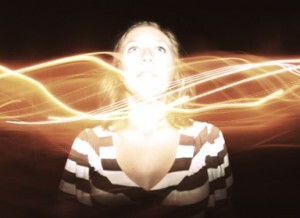 The rich data created by wearable tech will drive the rise of the ‘human cloud’ of personal data. With this comes countless opportunities to tap into this data; whether it is connecting with third parties to provide more tailored and personalized services or working closer with healthcare institutions to get a better understanding of their patients. Wearable technology is already seen being used in the private sector with health insurance firms encouraging members to use wearable fitness devices to earn rewards for maintaining a healthier lifestyle. It is likely that the public sector will look to capitalize on the wearable technology trend with a view to boosting telehealth and smart city programs. The research also revealed that a small number of ‘early adopter’ businesses are already providing wearable technology devices for their employees. There is scope for the use of wearable technology in the enterprise to increase with a third of respondents stating that they would be willing to wear devices offered by their employer.